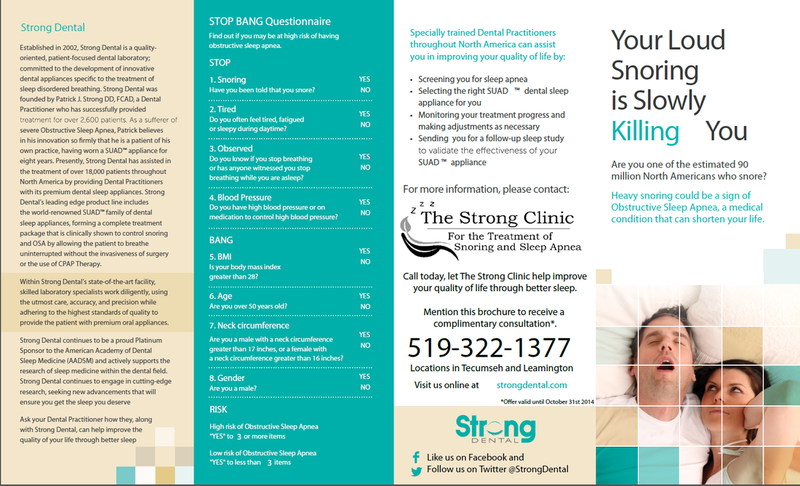 If you have not yet had a sleep study conducted, please schedule an appointment with one of our sleep coordinators. 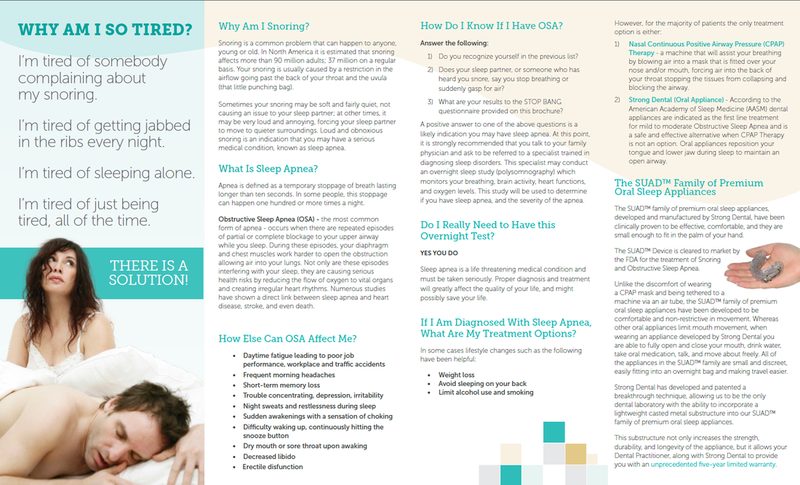 During your first visit our team will assess your habits to see if a sleep study is necessary. If you are a positive candidate, we would be more than happy to book an appointment for you with your family physician. It is at this time that your physician will set up an overnight sleep study with a Sleep Clinician. To have a private consultation with Patrick, you must have your sleep study results which determine the severity of your sleep apnea. If you have results from a previous sleep study at another clinic, please bring in the results when you have your initial consultation. - During the first consultation, Patrick will assess your sleeping habits and determine if you are an eligible candidate for any of the appliances in the SUAD™ premium line of oral appliances. If eligible, impressions of your teeth and a bite registration will be taken to determine a starting position for your appliance. - During the same appointment, you will be set up with an at-home sleep study, and you will use the sleep study for one night in the comfort of your own home. The information from this study will give us a baseline to chart your progress. Throughout the entire process, four (4) additional sleep studies will be conducted to determine your progress. - At the second appointment with Patrick, you will be fitted with the appliance and adjustments will be made, if needed. - Generally one week to two weeks later, you will return to our clinic for a follow-up appointment with our sleep coordinator where your progress will be assessed. Should any further adjustments be needed, they will be made during this appointment. - After one month of wearing the appliance, you will return to our clinic to get another home sleep study done. And another one after 3 months and a final one after 6 months. * Please note that the number and type of visits may vary, depending on your progress and the discretion of the sleep coordinator.